Picture this: You walk into a mithai (sweet) shop. The glass cabinets are full of mithai trays. Your favorite diamond shaped Kaju katli (Indian sweet) is lying there- pale, off-white, without its trademark silver bling on top. Appealing much? No, right? You would probably ask the Halwai (sweet-shop owner), ” what’s wrong with it!? 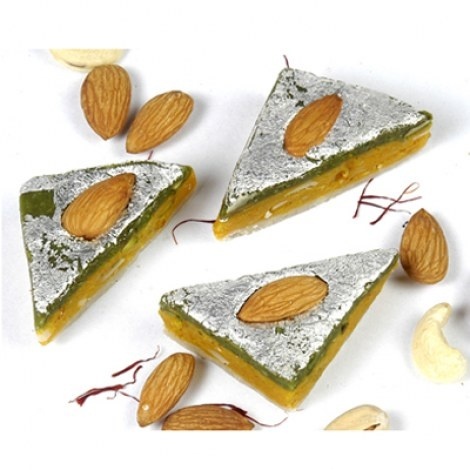 !” You would rather go for something that appeals to you visually than a plain looking mithai. 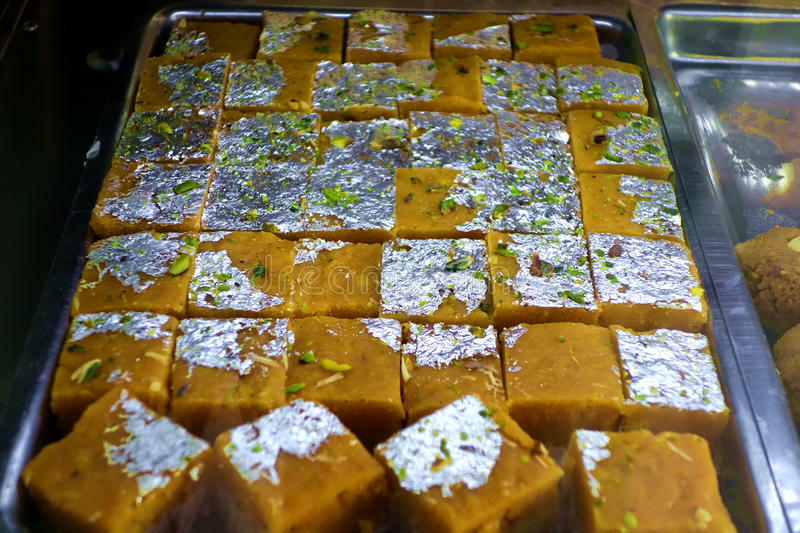 There are quite a few Indian sweets that just can’t do without the silver coating on top. But what is the reason behind the silver coating over the sweets? Is it the aesthetic appeal? Yes, as we established earlier, the primary reason is to make the dish look good. As we know it, good visual appearance plays a major role in attracting buyers. This is the first purpose of adding varq over the sweets. However, the varq does not contribute to the flavor. Secondly, it adds a luxurious touch to the sweets. Primitively, silver was associated with wealth and when you add an element of luxury to the sweets, it automatically translates to being ‘meant for the wealthy’. So, it sets apart these sweets from the normal ‘mediocre‘ sweets. The varq, in other words, gives these sweets a royal touch. There is a third possible reason why mithai wallas use varq on their sweets. The varq is quite popular among the mithai wallas because of its ability to retain moisture in the mithai and prevent it from drying out. It prevents your mithai from going stale too soon. Some also say that silver metal helps to fight microbial attack. So it might help to prevent the mithai from contamination. However, our concern today is whether the varq on sweets is pure silver or not. 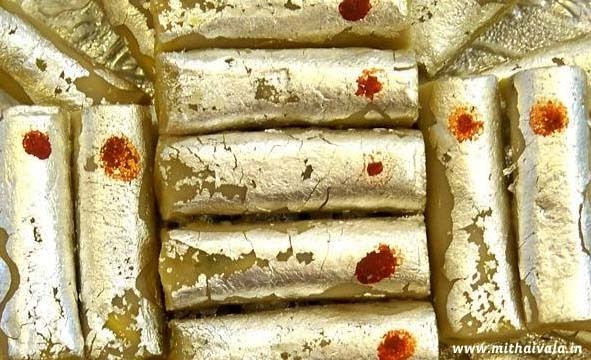 With precious metal prices rocketing sky high, does the mithai walla really deliver as he promises? These days a lot of adulterants such as aluminium and other metals like copper, manganese, and lead have made their way into the kitchens for cutting corners. These meagre efforts to save on the cost are potentially hazardous. The adulterants are practically toxic to health. Our body can tolerate only a minute amount of silver, but we can’t identify how much is more. It is difficult for our body to process and throw it out of the system. So our fat cells and nervous system keep accumulating it over time, especially if we have consumed silver metal since childhood. It could lead to throat and lung lesions, abdominal pain and infections. Disclaimer: Staunch’s vegetarian might be subject to throwing up after reading this! 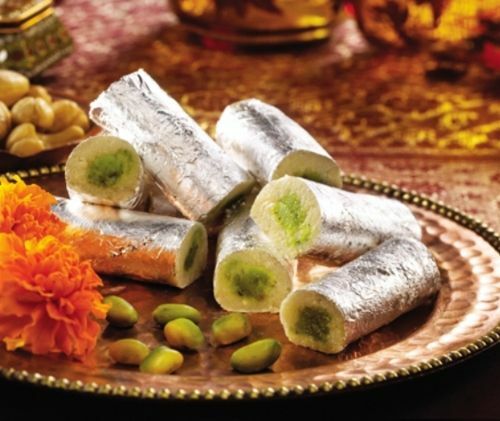 The silver varq on sweets turns your good old mithai into a non-vegetarian feast! The silver sheets are placed in a booklet made from cattle intestine. The booklets are then hammered into thin foils. The intestines of an ox or bull are removed after their slaughter. The mithai makers immediately buy these intestines. The mithai makers cannot store the intestines for too long, as they become hard and unusable later. The intestines are cut into pieces and placed over one another to make booklets. They are then used to beat up the silver sheets. As a result, the silver varq is likely to have traces of blood, animal fats, even stools! Moreover, if the animal was infected it only worsens the situation. Because then those microbes could pass on to your mithai and make you sick. The whole process makes the varq quite unhygienic. There is no way to verify the quality of the Varq on sweets. However, in any case, it is better to be safe than sorry.